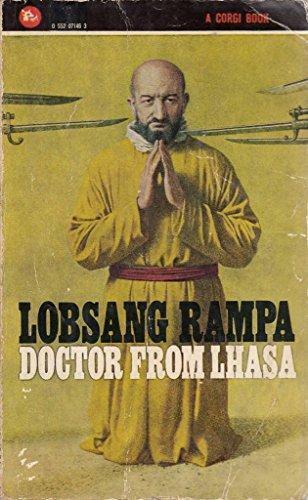 T Lobsang Rampa was a British man who claimed to have given his body to the transmigrating soul of a Tibetan Lama, who proceeded to write 19 books about mystical subjects. 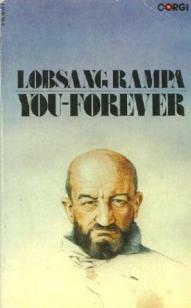 Lobsang Rampa, a.k.a. 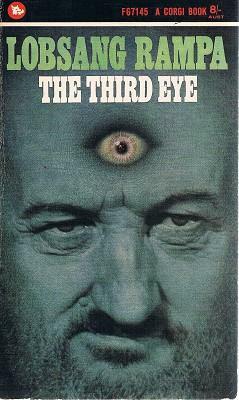 Cyril Henry Hoskin, wrote books with paranormal and occult themes, the best known is The Third Eye (1956). Following publication it was reported that Rampa was Cyril Henry Hoskin, a plumber who claimed his body hosted the spirit of a Tibetan lama going by the name of Tuesday Lobsang Rampa, who was claimed to have authored the books. The Third Eye purported to relate his experiences while growing up in Chakpori Lamasery in Tibet, after being sent there when he was seven. The title is derived from an operation Rampa claimed he had undergone, in which a small hole was drilled into his forehead to arouse the third eye. Subsequently Rampa sees yetis and encounters a mummified body of himself from an earlier incarnation. He also takes part in an initiation ceremony in which he learns that during its early history the Earth was struck by another planet, causing Tibet to become the mountain kingdom that it is today. Heinrich Harrer was unconvinced and hired a private detective to investigate Rampa. The findings, published in the Daily Mail in February 1958, reported that the author of the book was a man named Cyril Henry Hoskin, who had been born in Devon in 1910 and was the son of a plumber. Hoskin had never been to Tibet and spoke no Tibetan. In 1948, he had legally changed his name to Carl Kuon Suo before adopting the name Lobsang Rampa. Rampa was tracked by the British press and confronted with these allegations. He did not deny that he had been born as Cyril Hoskin, but claimed his body was now occupied by the spirit of Lobsang Rampa. According to his third book, The Rampa Story, he had fallen out of a tree in his garden while attempting to photograph an owl, was concussed and, on regaining his senses, had seen a Buddhist monk in saffron robes walking towards him. The monk spoke to him about Rampa taking over his body and Hoskin agreed, saying that he was dissatisfied with his current life. When Rampa's original body became too worn out to continue, he took over Hoskin's body in a process of transmigration of the soul. Rampa maintained for the rest of his life that The Third Eye was a true story. 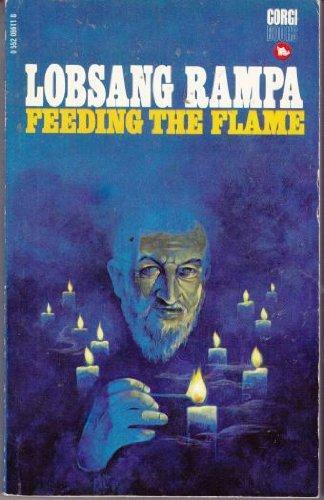 Lobsang Rampa went on to write more books containing a mixture of religious and occult material. 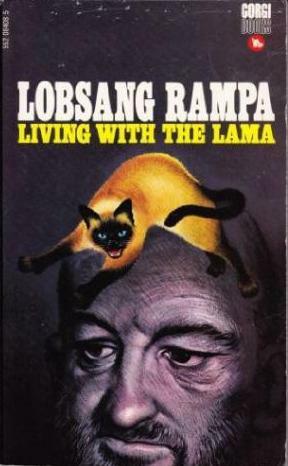 One of the books, Living with the Lama, was described as being dictated to Rampa by his pet Siamese cat, Mrs Fifi Greywhiskers. Rampa and his wife, San Ra'ab, became Canadian citizens in 1973, along with Sheelagh Rouse (Buttercup) who was his secretary and regarded by Rampa as his adopted daughter. Rampa tells of his astrological horoscope given in Tibet, and how it foreshadowed his later experiences in the West. G+ or better paperback, various copies may be available. At the age of seven the Day of Prophecy arrived, and the court astrologers pronounced their findings. It was proclaimed that T. Lobsang Rampa was to enter the lamasery to be trained as a clairvoyant and as a healer. Many predictions were made about his life, including the fact that his work would be heralded around the world. 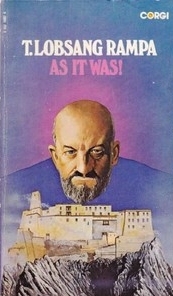 While still very young the author's Third Eye was opened increasing his mystical powers, as well as his ability to view the human aura, and to read the thoughts of others. Rampa discusses karma, the other side of death, the silver cord, seership, crystal power, ghosts as well as astral projection. Rampa looks at the enhanced psychic powers of telepathy, astral projection, reading of the human aura, ESP, Ouija Boards and other occult powers. Rampa discusses his mystical connection with his cat, Mrs. Fifi Greywhiskers. This work is translated from Fifi by Rampa via telepathy. "You've gone off your head Feef," said the Lama. "Who will believe YOU wrote a book?" He smiled down at me and rubbed under my chin in just the way I liked best before he left the room on some business. I sat and pondered. "Why should I NOT write a book? I thought. True, that I am a Cat, but not an ordinary cat. Oh dear! No! I am a Siamese Cat who has traveled far and seen much. "Seen? Well of course. I am quite blind now, and have to rely on the Lama to tell me of the present scene, but I have my memories! Of course, I am old, very old indeed, and not a little infirm, but is that not good reason why I should put on paper the events of my life, while I am able? Here, then, is my version of Living with the Lama, and the happiest days of my life; days of sunshine after a lifetime of shadows." In 30 lessons, Rampa teaches the fundamentals of the metaphysical sciences. His instructions teach you how to see the etheric, auras, travel in the astral plane, develop clairvoyance, and much more.